Tottenham’s battle to hold onto their most experienced players this summer highlights a curious phenomena in modern football – the age of the ‘last big contract’. Indeed, while an accusative finger can rightly be pointed at the club’s modest wage structure and Daniel Levy’s prudent efforts to retain it despite the vastly superior salaries on offer at rival clubs, there is another side of the debate questioning the sudden idea that every player needs one final bumper deal to sign off their careers at top level. Tottenham alone provide two key examples ahead of the summer transfer window. Toby Alderweireld, aged 29, and Mousa Dembele, aged 30, appear open to leaving the club in search of better pay elsewhere knowing they don’t have many years left to attract that kind of wage package. Although there have been other underlying actors, 27-year-old Danny Rose probably falls into that bracket too. 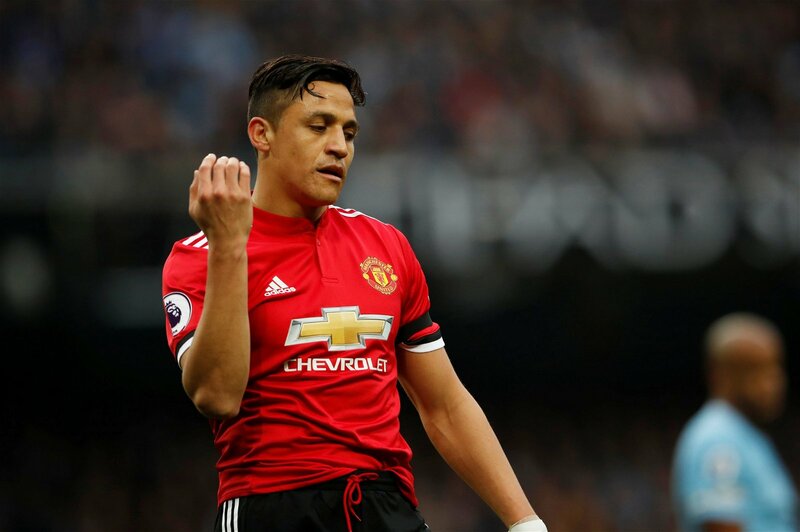 But Alexis Sanchez’s move to Manchester United over Manchester City appeared largely motivated by the finance involved as well, and perhaps the greatest evidence is the way the phrase ‘last big contract’ has slipped into the common footballing vocabulary. It’s become a largely accepted idea in an incredibly short place of time – the perceived wisdom being that you can’t deny an ageing footballer the chance of a huge final payday, regardless of how ludicrous the destination. Of course, that’s their prerogative; every footballer is entitled to decide the path his career should take. But you have to wonder quite where this new school of thought has come from, and quite why it’s become so widespread – especially in the Premier League which offers the best money of any top flight in Europe. Perhaps the notion of a last big contract has always been there and factored into where ageing players have decided to hang up their boots for generations. But there was also a time when veterans chose to play out their final years at a club where they knew they’d get games and where they knew they’d have an impact. We suddenly feel an incredibly long way from Glenn Hoddle turning out for Swindon Town. There are no doubt examples on the contrary, John Terry electing to join Aston Villa last summer being one of them. He could have easily picked up a massive contract in the Chinese Super League or potentially even with one of Chelsea’s Premier League rivals. Yet it now appears to be such a prevalent concern for players entering their late 20s, despite them being bona fide millionaires for the vast majority of their careers. And thus, one feels obliged to consider the influence of the agents, the men who have become football’s equivalent of cogs between cogs, pulling strings behind the scenes. After all, while retirement is an inevitable part of the process for footballers, for agents it represents something markedly different – a cash-cow being taken behind the barn and liquidated, practically overnight. From that perspective, suddenly the idea of the ‘last big contract’ truly starts to make sense. Players will always have other ways of making money once retiring should they choose to pursue them, from advertising and marketing work to coaching and punditry. For agents though, the cash dries up and the last big contract truly will be the last time they receive a substantial agent fee as part of any deal involving that player. That’s not to suggest Dembele, Sanchez or Alderweireld have suddenly fallen under the spell of their representatives – there’s obvious self-gain on the part of the player too. But it’s far more in the agents’ interests that a last big contract comes while their client still young enough to attract them, regardless of whether it’s actually the right decision for their careers in footballing terms. Whether you blame the agents or the players though, the rise of the last big contract is yet another symbol of the incredible greed in the game these days. Footballers will always have a right to pursue the best possible wages for themselves, yet it creates a far less romantic image of the beautiful game than the one we imagined ten or 15 years ago. Players now let the purse rule over the heart, and that’s what the age of the last big contract truly represents – the fact that the money in modern football is so ridiculous that players can’t resist the chance for a last big-money payday. For some, it’s become their primary motivation.